Historical Towns, local producers, and typical products… these are the keywords. Enjoy authentic Italy and allow the locals to uncover you the secrets of the ancient culinary traditions of Le Marche. DAY 1: Check in at the 4*boutique hotel in Ascoli Piceno. Discover by yourself the city which many call a “volume of art history to consult in the open air”, and there is no doubt it is a display of extraordinary wealth of monuments and styles dating back to different eras. However, Ascoli is also the “town of the hundred towers” and white travertine. This material embellishes the central Piazza del Popolo, an open-air lounge in the historical downtown, which also hosts several jewels of local culture such as the Cathedral. DAY 2: Breakfast and discover Offida by yourself, a picturesque medieval village surrounded by perfectly preserved town walls, dating back to the twelfth century. Among the numerous cultural landmarks of the town, there is certainly the Serpente Aureo Theatre, a true jewel of the Baroque era, housed in the Town Hall. 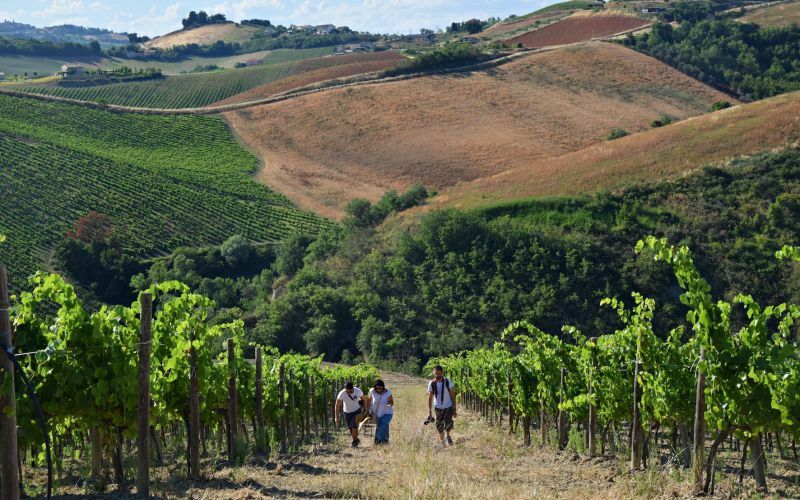 Offida is surrounded by vineyards and here people can enjoy Rosso Piceno Superiore and Offida wines, the youngest DOC wines in the area. 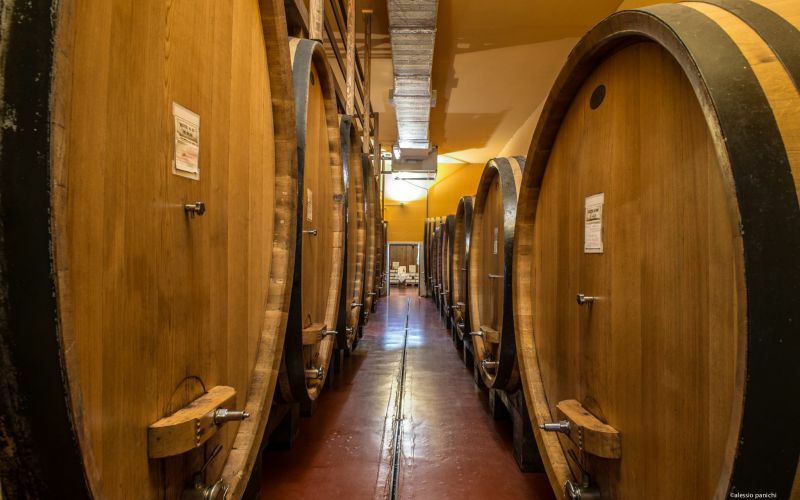 In the afternoon you will visit a winery in Ripatransone. The tasting includes DOC and DOCG wines from Historical Estate Vineyards accompanied by a selection of local recipes. This experience includes a visit to the cellar that is located next to the terrace. 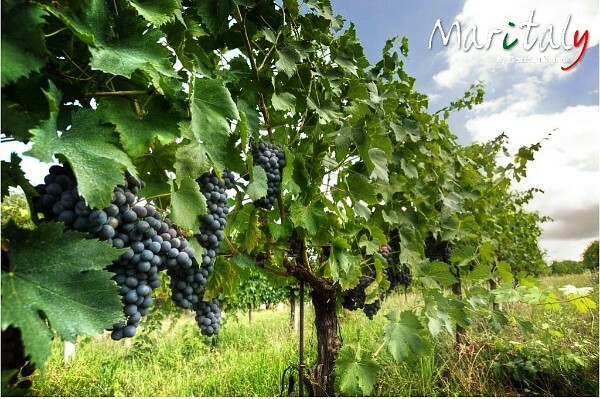 Enjoy a walk among the vineyards where our Rosso Piceno Superiore grapes are grown. DAY 3: Breakfast and we will give you the opportunity to wear the apron and prepare you to know the famous stuffed olive ascolane, a typical recipe of the area, appreciated and known all over the world. We tell you how to prepare the olives step by step. The chef will guide you step by step: which olives to choose, to piy the olives, how to fill them and how to fry. In the end, you will taste your preparation, accompanied by a glass of wine! Before we say good bye to you, we will give you the printed recipe to take with you. All in an exclusive location in the historic center of Ascoli Piceno, just few meters far from "Piazza del Popolo" one of the 10 most beautiful squares in Italy. End of service. 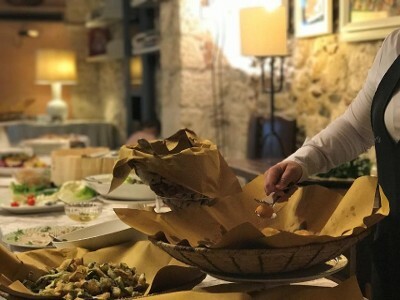 ON REQUEST: organized guided tours with local guides, tour leader on site, booking of meals at local restaurants, extension of the tour with other experiences like trekking activity, sailboat tours on Conero Coast, yoga, hiking, daily bike tours, cooking class experience with a local chef! For information or request contact maritaly@gazzellaviaggi.it or +390721967941.